Sports performance is the breakdown of the physical and mental capabilities within athletics. Each capability broken down allows for the development of the general motor skills in sports such as the ability stop and start, being able to jump and catch a ball, and the ability to control muscles for hanging, jumping, and stopping. The development of the capabilities increases cognitive response and body awareness so when applied to sport-specific exercises the natural motion is already available and increases the efficiency of the movement. In most sports, key athletic moments occur in 10 seconds or less. By developing the different capabilities it will decrease the time needed to activate the motions while increasing performance, efficiency, speed, and power output. 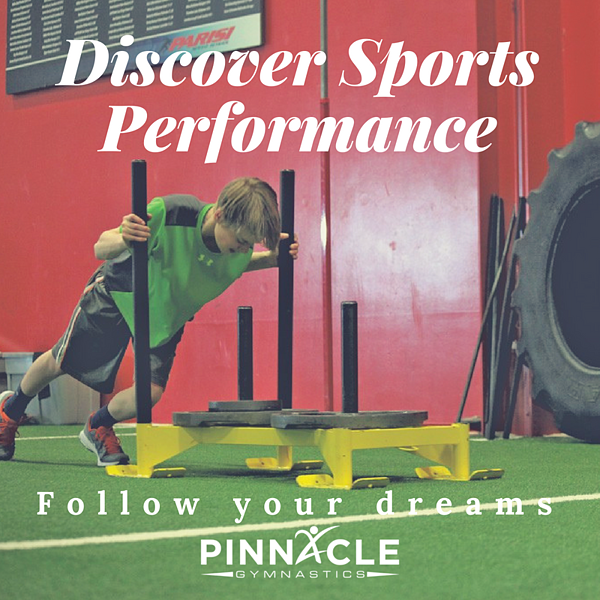 Why Choose Pinnacle Sports Performance? 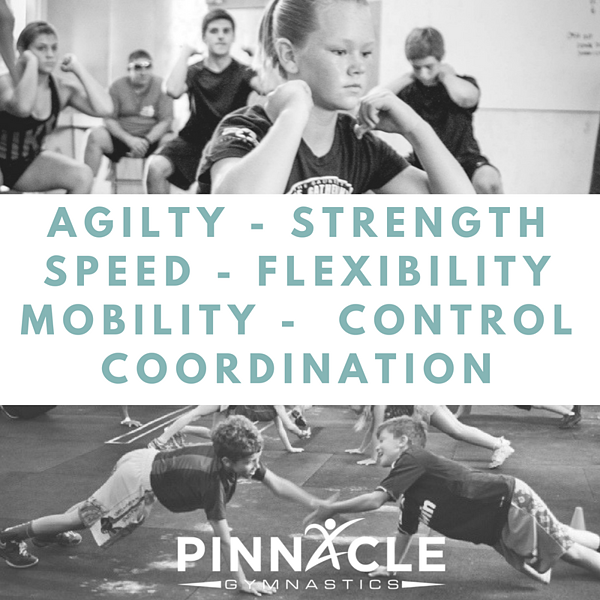 Pinnacle sports performance utilizes the different developmental skills to increase these capabilities utilizing our recent addition within Pinnacle Gymnastics! Our new state of the art equipment with elite-level instruction is the perfect combination for exponential growth of the capabilities. Our programming is created from a basis through strength and conditioning concepts from the National Strength and Conditioning Association and from the inclusion of college athletics in multiple sports. Pinnacle classes are broken down into 2 age groups, 10-14 and 15-18. Classes run for 60 minutes and have a monthly tuition of $77 for 1 class per week. Save 20% when you enroll in multiple class times or add sports performance on to your family's Pinnacle schedule. Special daytime discounts and group pricing are available. Private sessions and daily times are available on a sign up basis through Greg Henning, our Fitness Manager. Have a question? Want to schedule a private evaluation? Contact Coach Greg! Follow us on social media and stay up to date on the latest class times, lesson plans, coaches' training and more!